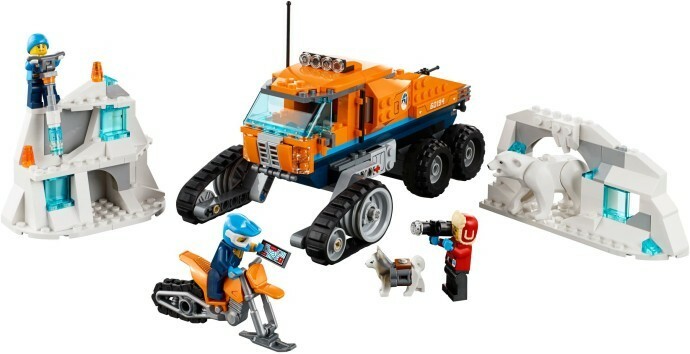 Includes 3 LEGO® minifigures: 2 drivers and a biologist, plus LEGO polar bear and husky dog figures. Arctic Scout Truck features front tracks and 4 all-terrain wheels, antenna, lights, onboard analysis station, plus a loading bay for the snow bike and space for other equipment. 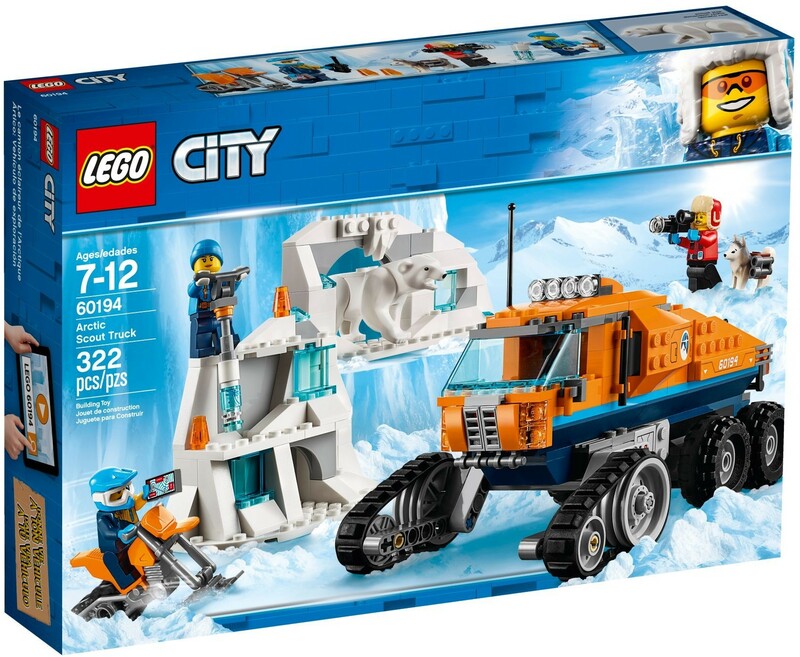 Also includes an ice wall/arch with translucent blocks and beacons, plus an ice cave with translucent blocks and room for the polar bear figure. Accessory elements include a radio, computer tablet, coring tool, camera, 2 sonar beacons and a pair of binoculars. Investigate the secrets of the tundra with the tracked scout truck. Call interesting locations in using the truck’s radio, before taking a closer look on the snow bike. Record and observe the polar bear with the biologist's camera. 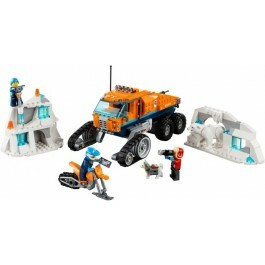 Bring the Arctic Scout Truck to life with the 17101 LEGO® BOOST Creative Toolbox (sold separately). Combine the sets, download the free LEGO BOOST app and code the truck to control the forklift, examine samples with the color sensor, help the whale back into the water and much more using the intuitive programming blocks! 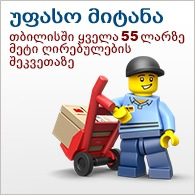 Visit LEGO.com/BOOST for more information and device compatibility. Arctic Scout Truck measures over 3” (10cm) high, 7” (20cm) long and 3” (11cm) wide. Snow bike measures over 1” (3cm) high and 3” (8cm) long. Ice cave measures over 2” (6cm) high, 1” (3cm) wide and 4” (12cm) deep. Ice wall with arch and lights measures over 3” (9cm) high, 1” (4cm) wide and 3” (9cm) deep.